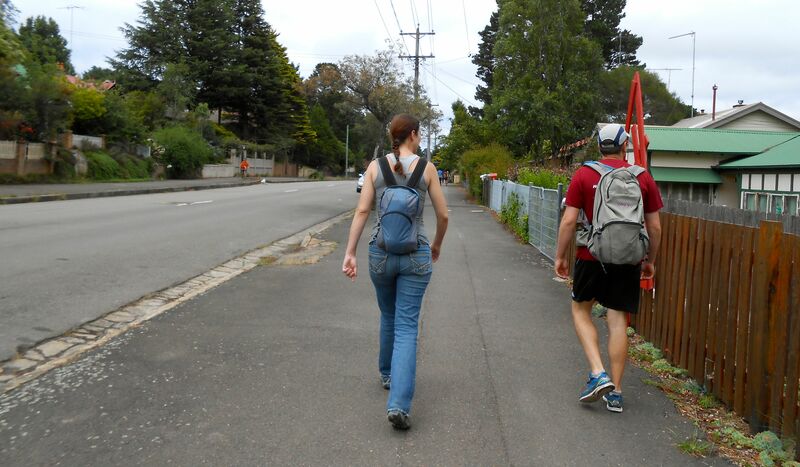 On January 1st, it was time for Rusty, Jessica, and I to head back to Sydney. We loved every moment of our southern adventure, but we were all ready to get back to some normalcy, I think. We piled into our little rental car and drove to the Port Lincoln Airport to drop off the car and board our plane to Adelaide. 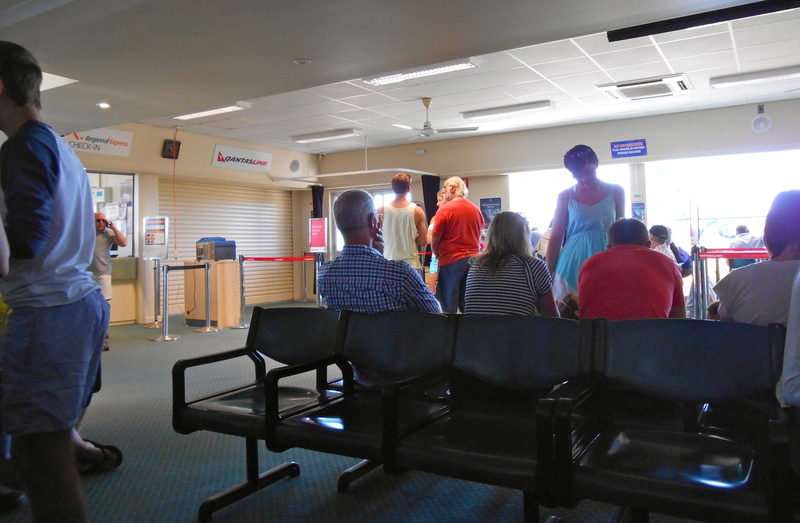 You and I have talked about how ridiculous the airport in Port Lincoln is, right? It’s one room. We didn’t see the inside when we arrived because the inside is just a lobby for people waiting for departing flights. There are two ticket counters, which are open for approximately 30 minutes at a time. Each airline has a single employee that prints out tickets at the counter and then checks tickets at the door to the tarmac. There are metal detectors for security, but they’re only used for Qantas flights, not for REX flights–Qantas and REX are the two airlines that fly to Port Lincoln, and we flied REX. I insisted that we get there an hour and a half early, which is how long we need for check-in and security at Hartsfield-Jackson International Airport in Atlanta for domestic flights. 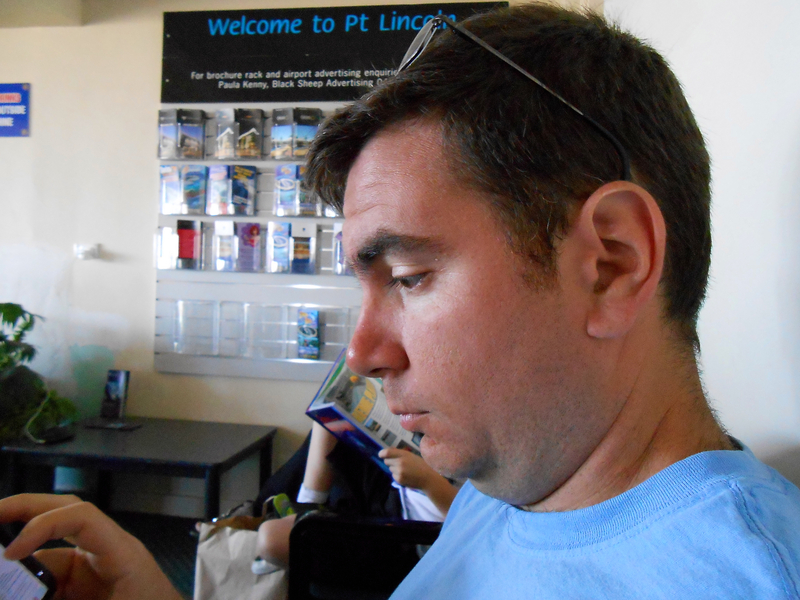 We thus arrived at the Port Lincoln Airport far too early. Jessica and Rusty were not amused. It didn’t help that I was really perky and sticking my camera in their faces at a ridiculously early hour of the morning. 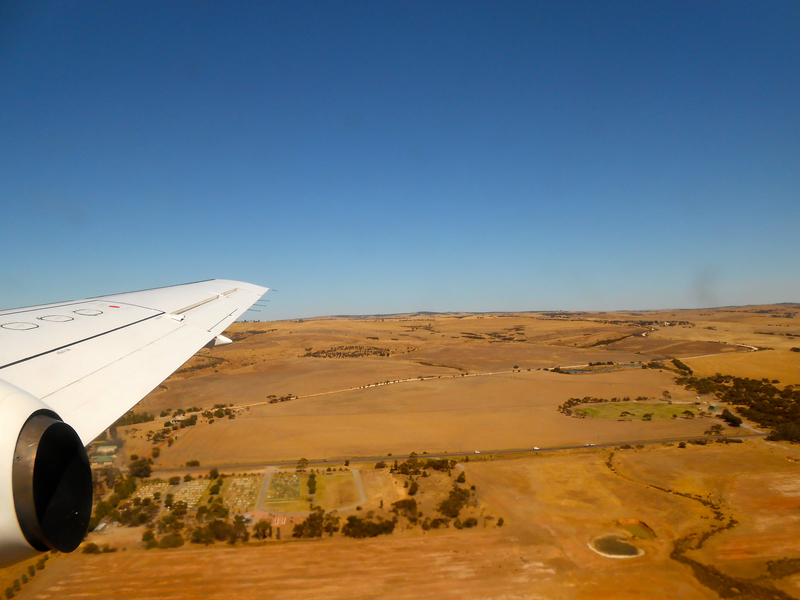 Eventually, though, we boarded the plane and took off for Adelaide. 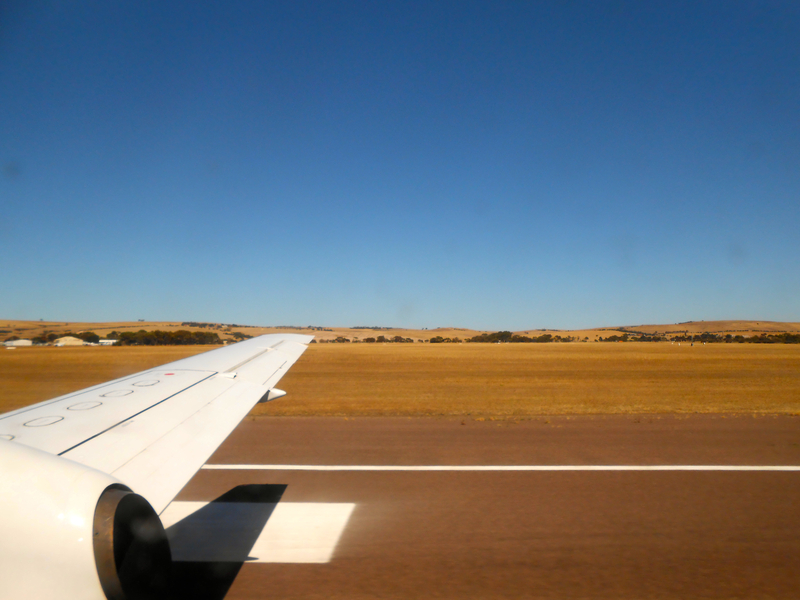 Goodbye, golden fields of the Eyre Peninsula! Our plane was equally as silly and small as the Port Lincoln Airport. 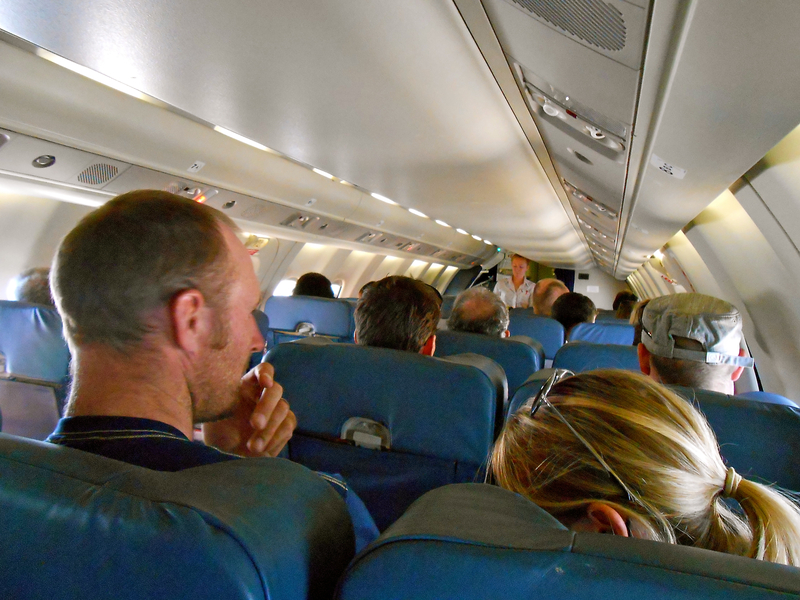 It was the same plane we came in on–a tiny little thing with a single flight attendant. 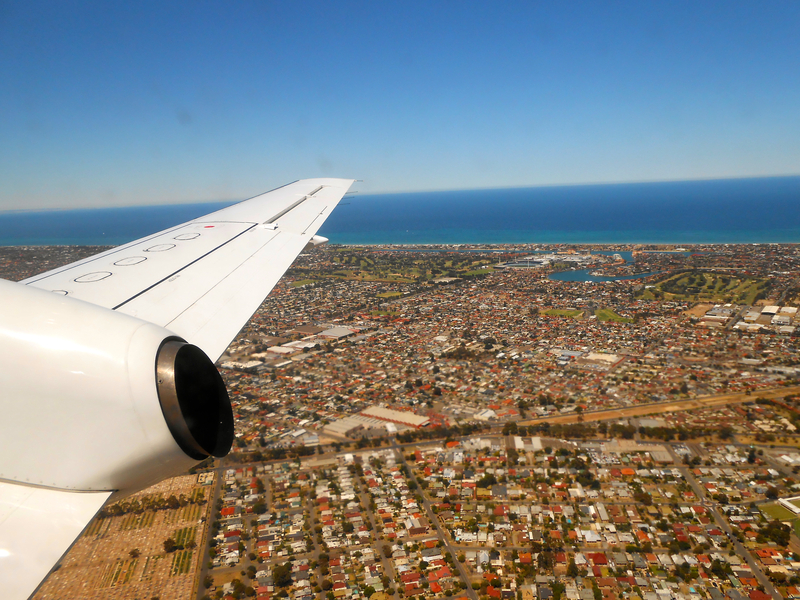 We landed in Adelaide before we knew it. It was just a quick hop. We had another long layover in Adelaide, and this time we decided to hang out in the city proper. We took the bus from the airport to the city center. It was pretty lively, despite being a national holiday! 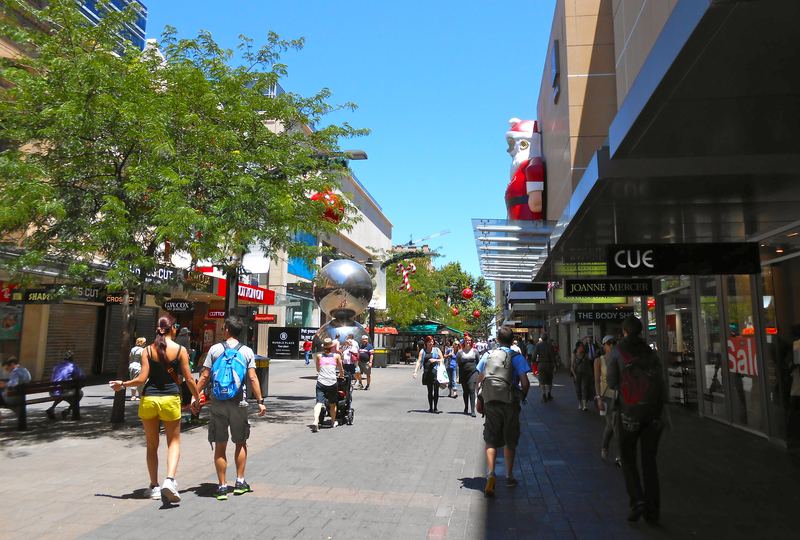 Adelaide is an adorable city, ringed with public parks and perfect for pedestrians. Unfortunately, it was ungodly hot, and we weren’t particularly motivated to go exploring on foot. We opted for a museum instead. We checked out the South Australian Museum, which had an exhibit about whales. We spent a couple hours in the lovely, air-conditioned museum before heading back to the airport and hopping on our flight back to Sydney. I’ll tell you what: It was good to be home when we finally got there. There’s something unspeakably wonderful about sleeping in your own bed on the first night back from a trip. It was glorious. 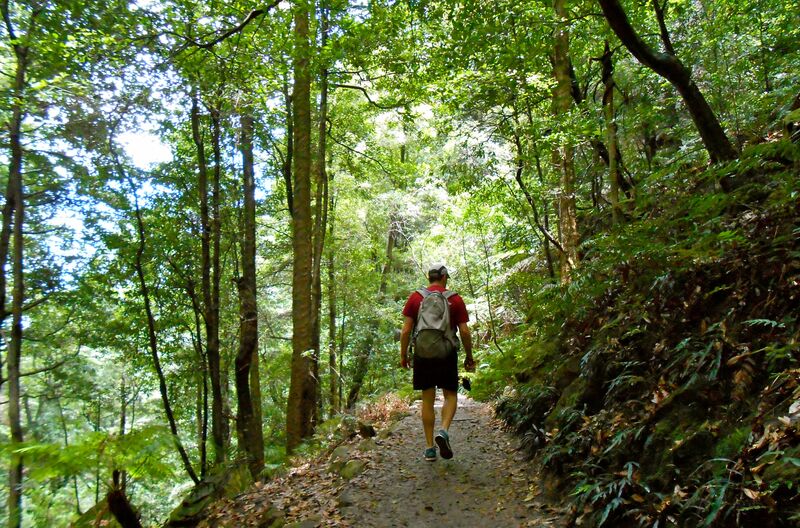 The next morning, we packed up again and headed out to Blue Mountains National Park. We really wanted Jessica to see our favorite place in all of Australia. 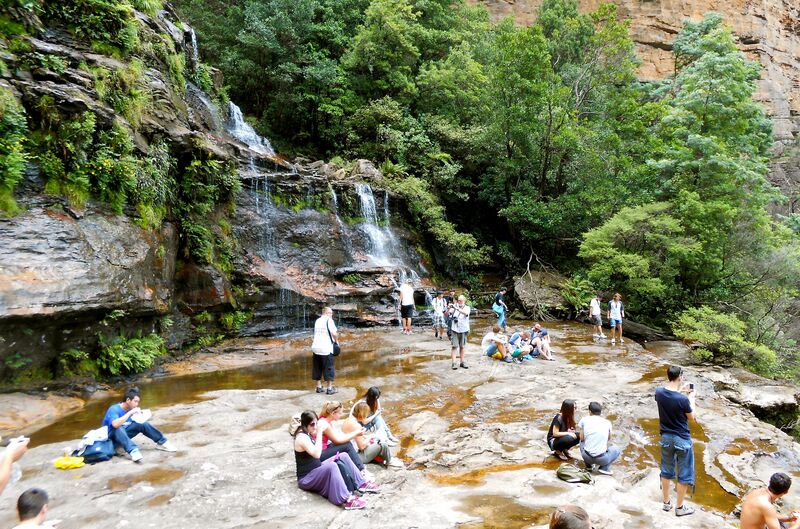 The Blue Mountains are where we go to get away from the city. We can re-center ourselves there, relax a bit, and breathe all the fresh air we can handle. Rusty and I usually go for a couple days and stay at a campsite near one of the trailheads, but we decided to make a day trip of it this time. 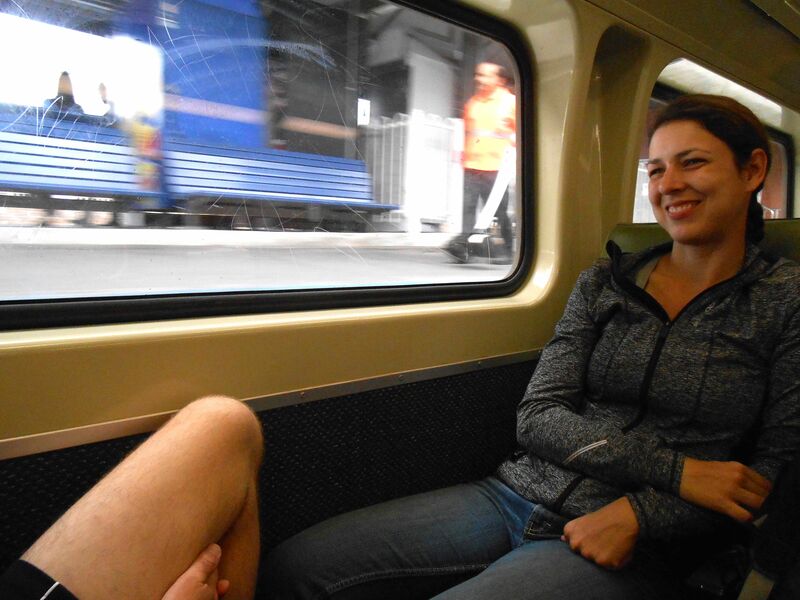 We took the train from Central Station in Sydney out to Katoomba. 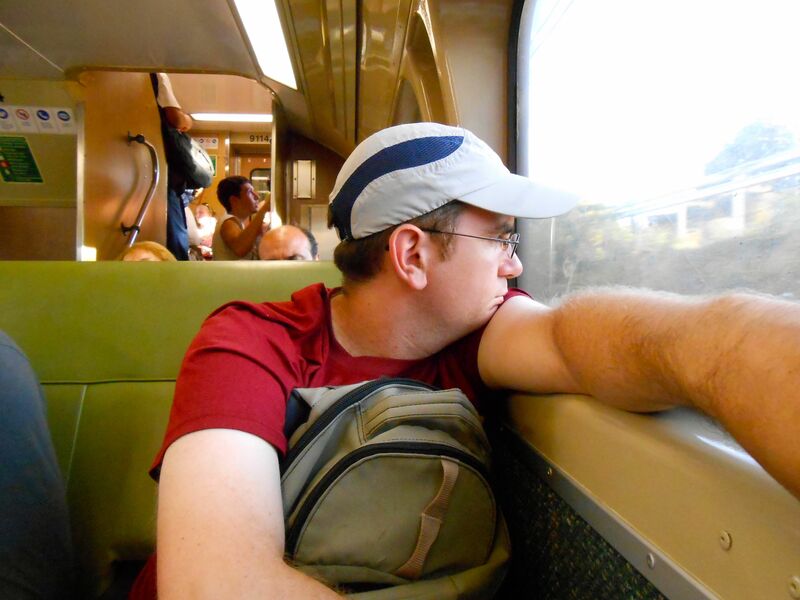 It’s a long train ride–about two hours–but it’s a lovely trip. 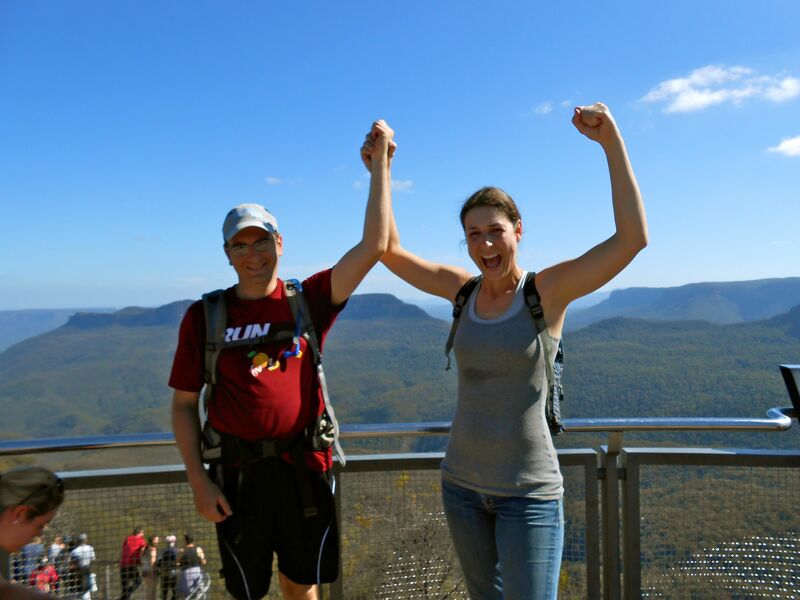 We got off the train in Katoomba and walked down to the trail head. The trails were packed! Rusty and I have never seen so many people in the park. We knew it was a holiday and that there would probably be a few extra folks around, but we were a bit unprepared for what we encountered. Luckily, there were a few quiet spots. 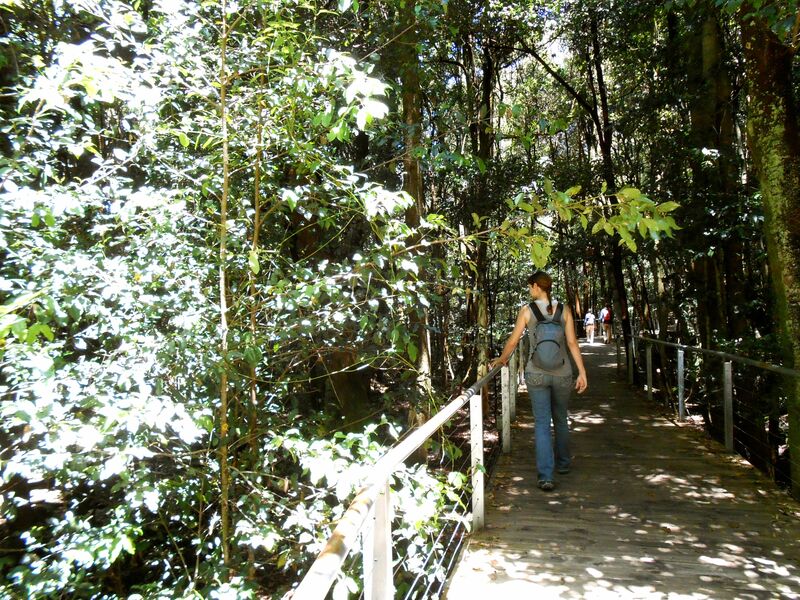 First we headed out towards Katoomba Falls. Rusty and I had never been there before, and it was quite beautiful! 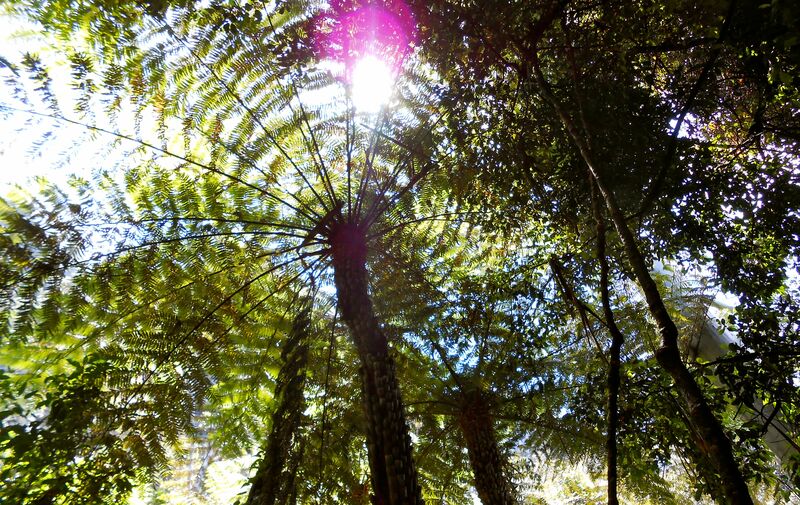 We then walked down to Scenic World, another place Rusty and I hadn’t explored much. Scenic World is a series of wooden boardwalks in the valley with educational signage about the coal mining that took place in the mountains before they became a national park. Starkly different from the golden fields of Port Lincoln and the Eyre Peninsula, no? 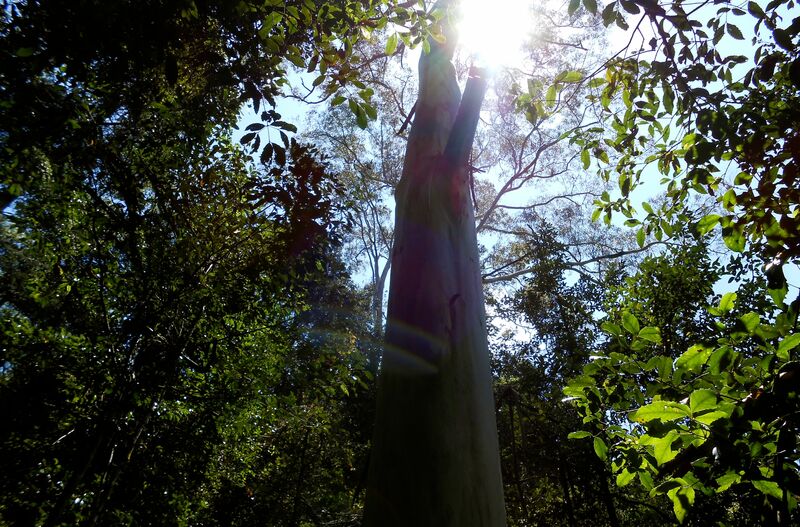 It was certainly good to be back in the forests I know and love! 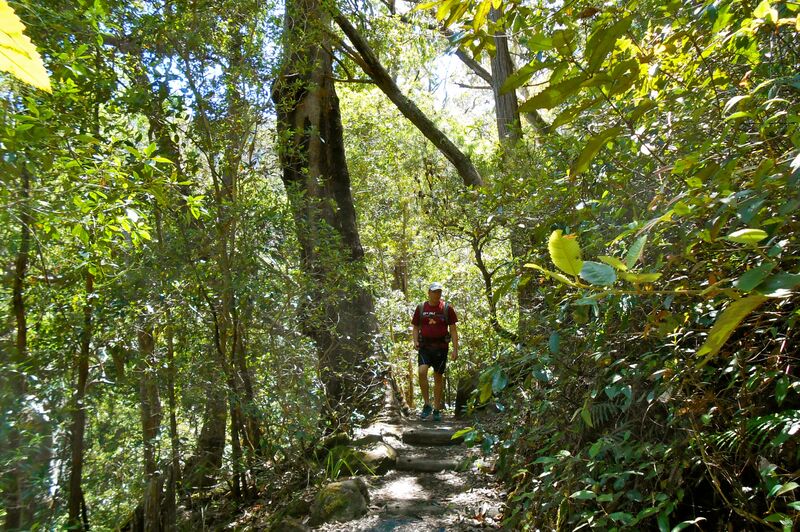 After Scenic World, we took Federal Pass east towards Leura Forest. We passed the first exit for Dardenelle’s Pass, heading further east, and then turned around and headed back northwest at the second exit for Dardenelle’s Pass. We ended up here, at the base of the Giant Staircase. Jessica was far too excited about what was coming. Rusty’s facial expression is more appropriate! 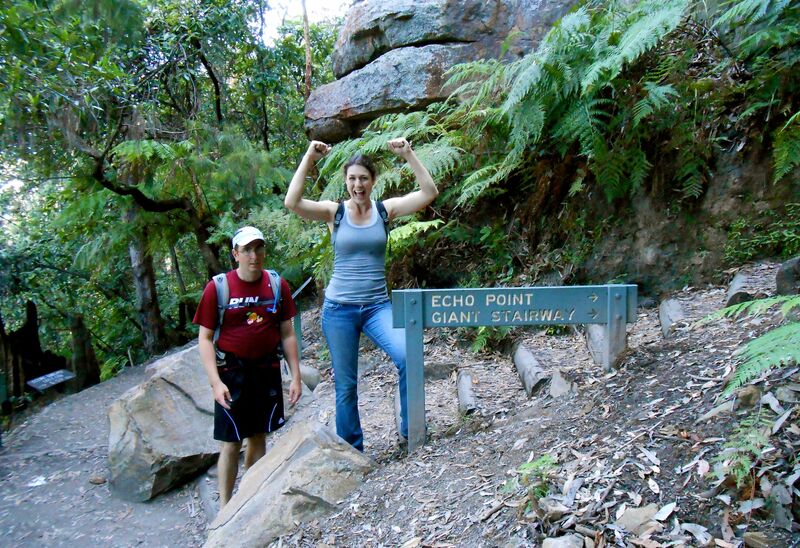 The Giant Staircase is about 900 steps up to Echo Point at the top of the cliff. Yay! We made it! 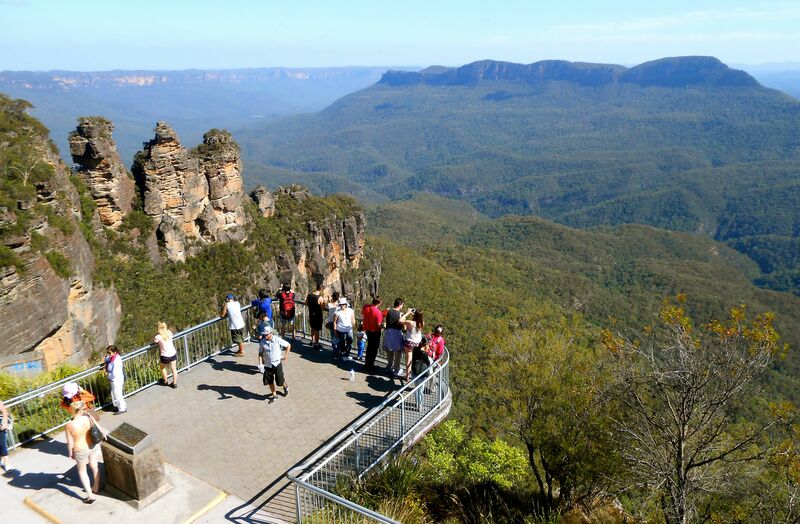 In the above picture, you can see three pointy granite structures, called the Three Sisters. 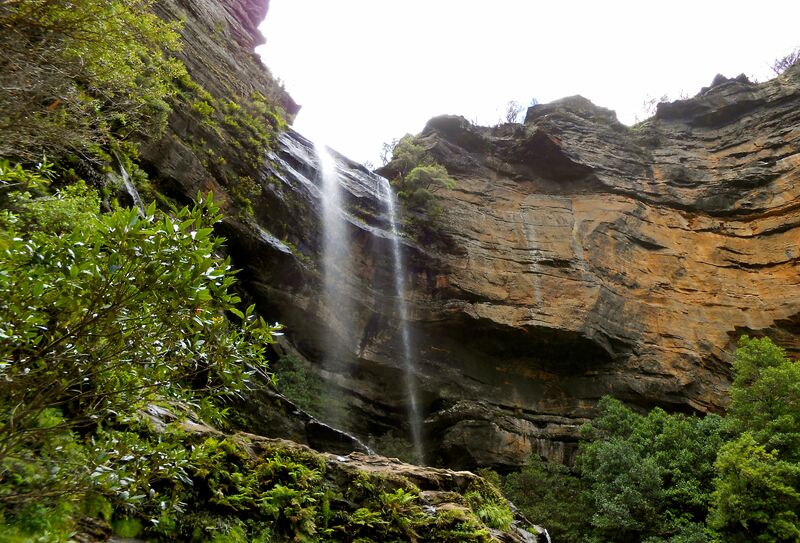 They are one of the iconic images of the Blue Mountains. They used to be much bigger, but weather has eroded them a bit. After our hike up the Giant Staircase, it was time to head home. We were sad to go so soon, but Rusty and I knew that we would be back. The rest of the vacation is just a blur! I don’t even have pictures to commemorate the days. Rusty and Jessica went up to some museums in the city on January 3rd. 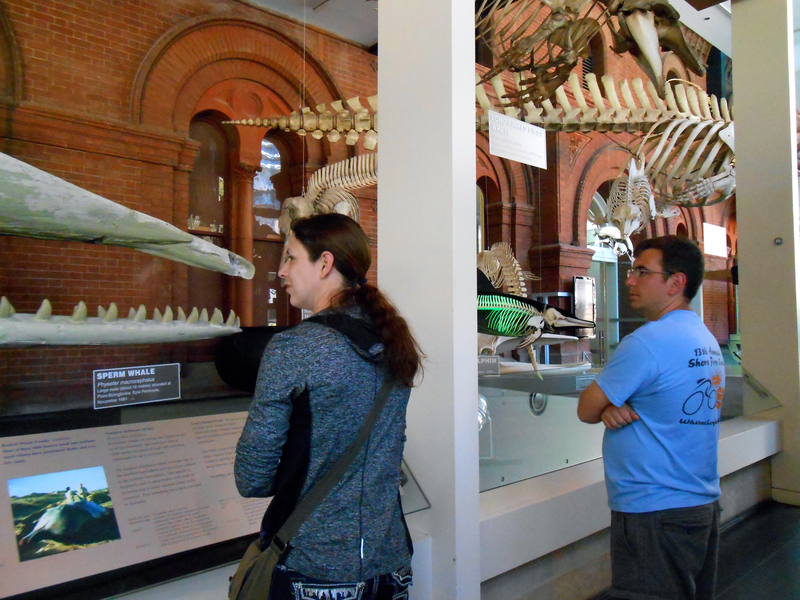 On January 4th, Rusty and I went to work, and Jessica spent the day at a few other museums in the city. A coworker of mine had graciously given me some free passes to a handful of museums, so Jessica was able to explore tons of museums for free. On Saturday, it was time to say goodbye. We had so much fun with Jessica while she was here! We saw so many amazing cities and sights and did so many awesome activities that we would never have done without her. Having company is the ultimate motivation to travel and explore, isn’t it? We can’t wait until she comes to visit again!